Every blog needs a foundation. Blogging platforms (sites, content management systems) provide that base and a framework that you can use to start a blog. There are a number of solutions, but only some are worth considering. This section provides a detailed overview (plus reviews from real customers) of self-hosted, freemium, and free blogging platforms available on the web today. With the help of this information, you will be able to find the best option for your needs and understand how to use it. Read on to dive deeper into the matter and explore the world of blogging platforms from their early days to their rise to popularity. A blogging platform is a type of software or service that you use to create a blog so that you can publish your content online. Creating a blog involves several steps, but the first one is choosing a system that will best fit your needs. Without it, you cannot proceed to the other steps, and you cannot start your blogging adventure. You can safely say that a blogging platform is a CMS (Content Management System) since it enables you to easily manage your content once you have your blog up and running. Blogging is a relatively new concept. Blogging platforms have been around for 28 years but, as you can certainly imagine, they did not look the way they do now. Also, the blogs that were first created weren’t referred to as “blogs,” but rather as “online diaries” or “personal web pages”. The first ever blogging platform, Links.net, was created by Justin Hall in 1994. Justin was a Swarthmore College student at the time, and he used his blog, or rather a personal web page, to share his thoughts and daily life observations with the world. It was not until 1997 that the term “weblog” was used to describe those online diaries. The name was brought to life by John Barger, who was one of the first bloggers and the creator and editor of Robot Wisdom, one of the first influential blogs of that time. In 1999, the term was shortened to “blog” by programmer Peter Merholz. One of the first and most popular blogging platforms was Open Diary. It was launched by Bruce Ableson in 1998 and served as an online journal community where people could read each other’s diaries and leave comments. In 1999, several powerful blogging platforms launched, all of which are still operating today. They include the famous Blogger, founded by the company Pyra Labs, LiveJournal, founded by Brad Fitzpatrick, and Xanga, founded by Marc Ginsburg, Dan Huddle, and John Hiller. In the early 2000s, more blogging platforms kept popping up, and that was the time when TypePad and the all-time giant, WordPress, came to life, both launched in 2003. The mid-2000s marked the time when blogging platforms finally became mainstream. Political blogs were on the rise, among many other different types of blogs, including video blogs. In 2007, Tumblr was launched, followed by Posterous in 2008. In 2012, Evan Williams founded Medium, which is one of the newest blogging platforms that seems to be getting continuous momentum. With all of those great blogging platforms, blogs were becoming the primary channels for online communication for millions of people. None of us knows what the future holds for blogs, but one thing is sure – they are not going anywhere anytime soon. Pricing. One of the most common questions – “How much does it cost?”. It’s essential to know how much you will have to pay for a blogging platform and it’s also important to know what will you get for your money. Type. There are different types of solutions. They all designed for the end user to be able to create a blog, but it’s important for you to understand what’s available. They are: free (hosted), self-hosted, freemium, premium, blog website builders. We will describe the difference between them later. Ease of use. New bloggers need an easy to use solution that they can handle without any technical skills, learning web development or web design. Once the software is set up, it has to be easy to manage. Features. You need to make sure that the platform you pick is feature-rich. You might not need them at the beginning or not use them at all, but you have to make sure that platform gives you the ability to customize or change your blog completely if required. Administration. The back end or admin area is where you will do changes to your blog, write content, make design and layout changes. Make sure that the admin area is available, accessible and easy to navigate. Below, you’ll find some of the most popular blogging platforms and alternative options (with short descriptions, pros, and cons) available for new bloggers. With the help of this information, you will be able to find the best option for yourself. you don’t have to have coding experience to handle most of the tasks related to creating and maintaining your blog. 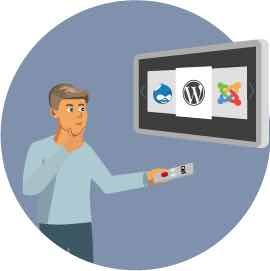 updates can be done within the WordPress dashboard with the click of a button. there is plenty of support for anything you need help with including customization, design, functionality, and maintenance. Tip 2: To set up your own WordPress.org blog you will need a web hosting space and a domain name. For new bloggers, we recommend Bluehost, company that powers over 2 million websites worldwide. You will get a Free domain name when you sign up with them and if you don’t like the service, they offer a 30-day money-back guarantee. The above option is our recommended way to make your new blog. To convince you that you are making the right decision, let us describe all the available option below in more details. Free (hosted). To put it simply and to show you why this platform called “hosted” let’s focus on the name (domain name) of your blog. Hosted means that you will have a blog name in this form—blogname.wordpress.com or blogname.blogspot.com. The big benefit is that it’s totally free, but the downside is that you’ll be subject to their rules and this form of the blog name (subdomain) is the sign of an inexperienced beginner who likely won’t be taken seriously. Self-hosted. It allows you to run a blog on your own domain. Aside from following your domain registrar and web hosting company’s rules, you’re fully in charge of your blog and its contents. Self-Hosted content management systems are generally open-sourced and free. Freemium/premium. Freemium means you’ll have a trial period before you have to start paying (costs vary from $5 to $30 per month). Several platforms are available. One of the most popular is TypePad. This platform focuses on ease of use for writing, but customization options are limited and it lacks certain features of value to bloggers. By default, your TypePad blog name will look like this: yourname.typepad.com. It’s not always the best option if you’re trying to build the name and brand for your blog. Blog/website builders. Website builders allow you to create a simple blog or website using templates and drag and drop interfaces. As a result, you enjoy the benefit of WYSIWYG (what you see is what you get) when you create a website with website builders. Many of them also include hosting as a part of their service. But you must keep in mind that their options are limited and adding additional features can be tricky. What do The New Yorker, Boing Boing, the Chicago Bulls, BBC America, Beyonce, Vogue, The Rolling Stones, and thousands of other people have in common? They all made their official blogs with WordPress.org. Launched in 2003, it doesn’t need any introduction except the long list of sites using it today and the fact that it powers around 25% of blogs on the web. Just don’t confuse this open-source CMS and hosted blogging software WordPress.com. WordPress.org is something you should be familiar with and at least, try it once. There are good reasons it is one of the most popular choices when it comes to managing your blog or site. It has a learning curve and it will take some time to learn it, but that is the cost of having a professional site or blog. Having said that, there is one thing that you won’t get with some of the blogging platforms, and that is 100% ownership of your blog and content. In the long run, it will probably be the biggest benefit than with free hosted solutions. WordPress.org software is open-source and totally free, so there will be no additional costs on that side. Yes, all upgrades are also free. But you will need to choose a domain name (roughly $15 per year) and web hosting provider (roughly $5 to $15 per month depending on the company). 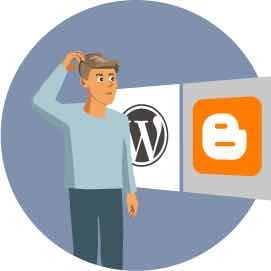 For the sake of WordPress being the easiest platform in the content management system world, we are going to focus on showing you how to create a blog using the self-hosted version of WordPress. As an example, we will show you how to launch a blog with Bluehost and all of the steps are followed up with adequate screenshots that will give you further understanding of what you need to do. And as we mentioned earlier, you will get a Free domain name when you sign up with them and if you don’t like their service, they offer a 30-day money-back guarantee. Go to this link and you will go to the “Exclusive Offer” page reserved for our fans. Once you get there click on “Get Started Now”. If this is your first hosting account ever, you should start with the basic plan, because you will need time to determine your needs and options. The basic plan has everything any beginner needs to set up a new blog. Consider other plans later when your blog takes off and your needs become greater. Your domain name will play a vital role in the future development of your blog and this is why it is important to take your time and figure out a good domain name. Once you’ve done that, enter the name in the “new domain” column and choose your Top-Level Domain. You will instantly be notified by BlueHost if the name you’ve chosen is available, and if not you will get similar suggestions. If you spent some amount of time on the internet in the last decade then you’ve probably heard the name WordPress. 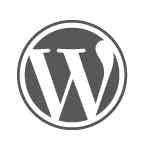 Launched in 2005, WordPress.com (which should not be confused with similar WordPress.org) is a popular freemium blog hosting service. There are over 50 million users on this platform, or at least that many people tried to use it. It’s hard to say how many people are actively using this platform, but it’s definitely a popular choice. But is it all hype? There are very few things that aren’t in favor of this blogging provider. Handling is easy for everyone no matter how educated in blog hosting they are. Unlike its fraternal twin WordPress.org, this is a hosted service, so you don’t have to worry about downloading and installing software. However, when it comes to hosted solutions, you don’t always have a 100% control over your blog. If you want to own your content and perhaps cut down some costs, along with a custom domain, perhaps you should look into WordPress.org or other platforms. WordPress.com is essentially a free blogging provider, but it has some limitations. The free plan gives you a blog that is restricted to yourname.wordpress.com domain with only 3GB of space, and it may show some ads. If you need a blog with a custom domain they offer a premium plan for $99/year and business plan for $299/year and it will give you unlimited space, e-commerce, and other advanced things. Depending on your needs, a free plan may seem like a good start and playground, but keep in mind all the restrictions. When it comes to blogging platforms, one of the first providers that will pop into most people’s minds is Blogger. 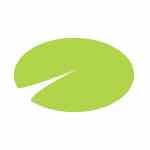 Founded in 1999, it is one of the oldest providers still active. In 2003, it was acquired by Google and that change is still shifting the way users are working with Blogger. Blogger is relatively easy to use. It is completely free and you can somewhat monetize it through ads. Customization options are limited, so in the long run, expansion is not welcomed. It’s been present online for over 15 years, so many bloggers are familiar with it or already have tried it. If you want just a hobby blog, Blogger could be enough for you. If you want your blog to be taken seriously, we would not recommend it. down some costs, along with a custom domain, perhaps you should look into WordPress.org or other platforms. Blogger is a free platform and you will automatically get a “yourname.blogspot.com” name for your blog. If you decide to move away from that, you will have to buy your own domain (roughly $15 per year) with one of the domain registrar companies and point it to your blog with Blogger Settings. With the Free plan, you will cover all the basics. However, upgrading to Connect Domain enables you to use your own domain. We recommend upgrading to Combo because you also will be freed of their native advertisements. Adding to the confusion is the fact that Wix calls all paid plans – Premium plans. So, when the company says a feature is included in a Premium plan, you can’t be sure which plan they’re talking about. Even though Wix is a website builder, they also offer an easy start for bloggers. With Wix, you can write, edit and manage your blog posts from your desktop or on the go! Founded in 2004, Squarespace is a convenient all-in-one web builder, hosting provider and blogging platform provider. With fabulous, responsive designs, Squarespace became known as the hippest of the web builders. However, advanced functionality has put the company squarely in the mainstream. If you check out Squarespace websites, you’ll see just how great they look. But are they easy to build and maintain? Read our full review to find out. The Medium is exactly what its title says. It is a new medium that has its backbone in the blogging world, but over time evolved into a publishing platform. It was made by the company that brought us Blogger and it was made by the co-founders of Twitter, Evan Williams, and Biz Stone. Launched in 2012, it is trying to take the best out of many platforms that are heavy on subscribe and follow activities, like Twitter or Pinterest, and find a balance between individual publishing and publishing by organizations. Visually, it’s clean, attractive, and modern. If you are an old user, pricing and hosting should not concern you at all. The Medium used to be free and there were no hosting packages since everything was taken care of by Medium servers. That is still true, but now you have a price attached to it. For $5/mo, you can become a member and with that, you will be able to read exclusive stories from top writers and experts, listen to audio versions of popular stories and reward the writers you love. When it comes to premium blogging platforms (not free) TypePad is one of the oldest members of that club. Launched in 2003, it was one of the most popular blogging platforms that hosted various celebrity blogs like Paris Hilton or Wil Wheaton. In the meantime, other blogging platforms emerged and took away its share in the blogging sphere. However, the mere fact that is still here, some 15-ish years later, alive, kicking and doing well, is something to think of. It may be old in internet years, but it’s far from dead. TypePad is not a free service. You can pay for it with your credit card or via PayPal. If you don’t want to jump in into a new contractual obligation, you can try their 14-day free trial, but you will still need to fill out billing information. You can choose to pay monthly or yearly, where you can get a certain discount for the yearly option. After your 14-day free trial, you will be automatically subscribed to the services at your subscribed rate. You may cancel your subscription at any time during your free trial to avoid being charged in case you don’t want to host your blog there. If you decided to stay, there are four different packages: Plus $8.95, Unlimited $14.95, Premium $29.95, and Enterprise $49.95 per month. Tumblr, or better to say, “Tumbler,” is a media-rich blogging platform. Founded in 2007 as a social network and a (micro)blogging platform, it was acquired by Yahoo in 2013. It has famous active users like Taylor Swift, Grace Helbig, and Tyler Oakley. However, when it comes to text-based content, you will have a serious lack of tools. It is a great start if you are a beginner and/or have an artistic side. The Tumblr platform is free. The free setup comes with yourname.tumblr.com extension. If you want, you can buy and use your own domain. Here is the guide on how to set up your own domain on Tumblr. As an option, you can buy premium themes from $9 to $49, but they are not a necessity. Plugins are free, but unfortunately, besides basic things, there are not too many plugins. Above we gave you information on how much the blogging platforms and their services might cost, or in case of going with a self-hosted platform, you will need to pay for a web hosting and a domain name. We also want you to understand that you will have to invest more into your blog before you launch it. That doesn’t have to be just the financial investment, it could be the time and energy to be able to do most of the tasks related to launching a blog on your own. Below we will show you some additional expenses that usually involved when you create a blog. Writing a few posts as a hobby on some of the free blogging platforms or social media accounts is one thing, but being a professional and running a full-time blog is entirely another thing. The first one comes at no cost, except, of course, your time. For those of you who want to be anything but casual when it comes to blogging, there are certain costs that you have to be aware of. You don’t have to buy or pay for all the things listed below but recognize what will help you to set yourself apart from the casual bloggers and reach success in the long run. So, let’s see what else you might need to launch and run a blog. Laptop. Using the laptop as a blogger has many benefits over using a desktop computer. The main being, of course, the ability to write and maintain your blog and other things related to it from any location you choose. You need something reliable, with long battery life. Prices vary from $500 to $3000, pick something according to your budget. Webcam and microphone. If you decide to interact with people live or create vlog format content you could need a good camera and microphone. Or if you plan to make an audio file for the podcast. The webcam will cost you anywhere from $40 to $100. The good microphone will cost you $50-$60. Digital camera. If you are into fashion or food blogging, in some cases to make good pictures you could use a camera. Again prices range a lot, from $500 to $2000 easily. Domain and hosting. If you decide to have your own personal or branded name for your blog you will have to buy a domain name (roughly $15 per year) or cost of that name could be barred into a yearly subscription that you pay for services. Also, for some platforms, you will have to have a web hosting space (roughly $5 to $15 per month depending on the company) to host your blog. Design costs. Here you have a number of options. The cheapest option is to go with an already premade WordPress theme. Many themes are free but you also have premium themes for $30 to $60. You can customize a free or paid blog theme if you need some additional functionality that can cost you up to $500. Please be aware that these cost projections are approximate since we don’t know how many and what type of customizations and website functionalities you may require. In the price range between $500 and $2,500, you can get a highly customized unique theme for your blog. Content costs. You can do that task yourself and write one or two high-quality posts per week. Writing good quality content takes time and you need skills. You can speed things up by purchasing the copywriting services of other writers. Just look up the ones who have experience writing in your niche on any of the freelance platforms. The hourly rate of the copywriters goes from $15 to $50. Software tools. Fortunately, the vast majority of software tools needed by bloggers are free. Take Google Docs for instance. However, some tools might help you become more efficient at what you do. This could be a long list of tools that you can use: SEO tools, grammar checker tools, email marketing tools, social media management tools, content marketing tools, etc. Advertisement costs. There are numerous ways to promote and advertise your blog that won’t cost you anything but your time. But if you already have quality content on your blog, you can pay for promotion and advertising to push things in the right direction. Depending on what platform you choose to advertise on prices will vary. 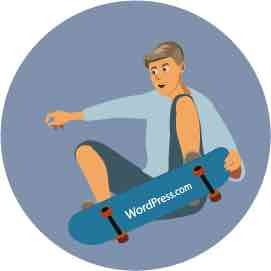 If you have previously used some other blogging platform other than WordPress, and now you decided to move your blog content from there to WordPress you don’t have to worry. WordPress has implemented the Import tool. It lets you upload content from other blogs into the new one. Other popular blogging platforms such as Wix (importing your Wix RSS feed), Weebly (using free Weebly to WordPress Importer plugins) and SquareSpace (using Squarespace’s Exports your blog to WordPress option), also let you move content from their platform to WordPress. Keep in mind that there are other import options available through different WordPress plugins. You can try searching the official WordPress plugins repository for the right importer tool. This section provides a list of the top 10 blogging platforms (with reviews and ratings) available on the web today. WordPress is the most widely used self-hosted content management system (CMS), recommended for blogging. 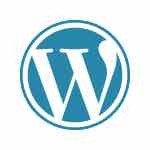 WordPress.com is the most famous blog hosted platform and one of the fastest way to create a free blog. 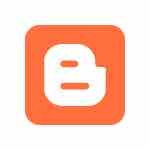 Blogger is one of the oldest and reliable blogging platforms on the web. It is owned by Google and developed for beginners. Tumblr is media oriented free blogging platform with a wide variety of themes that is very popular among younger population. 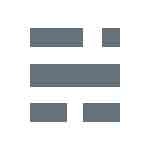 Medium is a free, open platform for people to read, write and share posts easily online. It is a blogging platform but it’s also a place to read articles on the Internet. Movable Type excels as a fully integrated, scalable, proven social publishing platform upon which to build highly interactive websites, blogs and social networks. Typepad is the reliable, flexible blogging platform that puts the publisher in control. Svbtle is a writing and reading network designed from the ground up to work the same way your brain does. It helps you think. Postach.io is Evernote powered blogging platform. We’ve compiled a list of platforms that can serve as viable candidates for your blog creation. Using the listed features and customer feedback as your guides, you’ll be able to select the right tools with greater confidence. 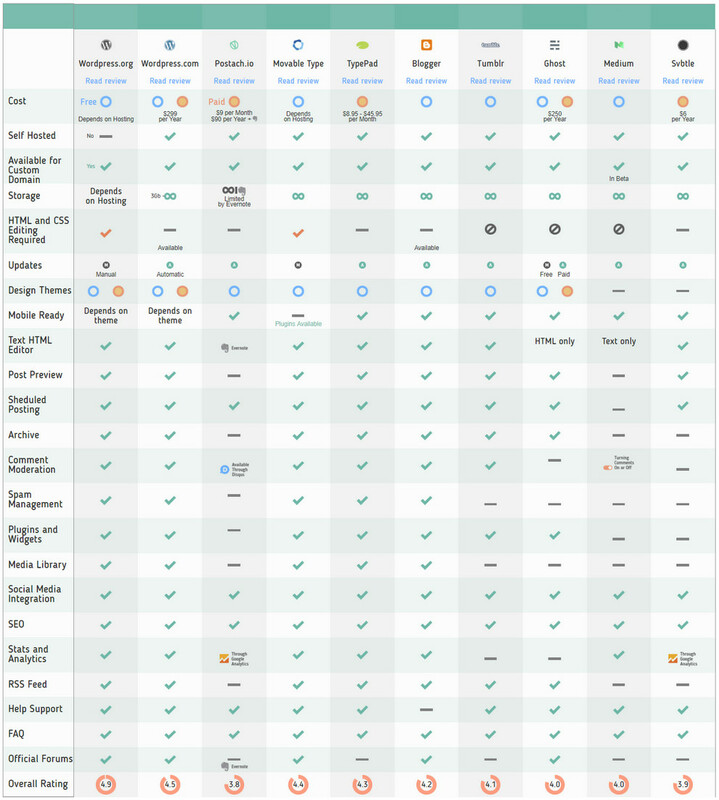 <a href="https://firstsiteguide.com/tools/blogging/"><img src="https://firstsiteguide.com/wp-content/uploads/2019/03/blog-comparison.jpg" alt="Blogging Platforms Comparison Chart"></a><br /> Blogging Platforms Comparison free chart was created by <a href="https://firstsiteguide.com/">First Site Guide</a> team. Congratulations! At this stage, we hope you have a good idea of how you want to create your new blog. New bloggers will be tempted by the availability of free blogging platforms since they are free and quick to start. But remember, based on our knowledge and on the research we’ve conducted, the best blogging platform out there today is WordPress.org. Keep in mind that this platform is powering 25.4% of all websites in the world and responsible for over 76.5 million blogs. I’ve been thinking about switching to WordPress for a while now, I heard a lot of praise about it – especially about all the SEO things I can do with it. So that’s how the name blog arrived – web log! Niiice. Such an instructive article. Love the way you’ve listed things, along with pros and cons. Including the cost layout. Great read and I seriously mean it. A very good collection of free and paid blogs. I had to read every single thing because I want to start blogging too and want to be sure I make the right choices so I don’t get to regret anything along the line. I’ve made some valid notes and I’m very sure this will help a great deal. Thank you for your article. WordPress.org is the best CMS out there today! I used to think that WordPress.org and WordPress.com were the same. When I wanted to start a blog on WordPress.com I got disappointed with the price of getting my own domain with them. Great article! Thanks for sharing this info about free posting platforms. You just made this whole thing simple and clear for me. The cost of starting a blog is not as huge as I had thought and so I’ll try to create one on the self-hosted platform so I can get a hang of the process in a couple of weeks. I’ll choose WordPress.org anytime. It’s the best platform to run a successful blog. Thanks for the information, very clear and in simple..
Nice list and guidance about blogging, worth reading it. These blogs sites are very useful. I personally prefer WordPress for myself. By the way, nice article. Thanks for sharing Ogi! Many have written about the various blogging platforms but this is by far the best and the way you have explained it’s so straightforward easy to understand. I’m really happy to see your article. Thanks for the nice article. Actually, this post is really helpful for the newcomer in the world of blogging. Keep Rocking!!! Really helpful article for me. Thanks! Self-hosted WP.org gives you 100% ownership of your content! Totally agree with you guys. I have to say I agree with you guys about WordPress.org. So easy to use and very SEO friendly! Really helpful. I just started mine. Leave a comment and let me know what you guys think. WOW! This article is really helpful for me to build up a site. I started with wordpress.com in 2016 but I switched to self-hosted couple of months after (I went with Bluehost) and I’m very happy with my choice! We are glad that you’re enjoying Bluehost since it is our recommended hosting provider! Great article. Very nice work and thanks for the information. It’s crazy to think that WordPress was launched 15 years ago, and it’s still the best solution out there! They’ve done a tremendous work on making a WordPress the best content management system. WordPress.org Pros: Everything Cons: None :)) That video you mentioned, setting up a WordPress blog with BlueHost, was really helpful! PS: I still have the dilemma on Tumblr or Tumbler! Glad that you liked the video! Please come back Shane to our blog for more blogging news. Welcome to the club of WordPress lovers! You outdid yourself with this one! Really neatly explained and it only takes eleven steps 🙂 Also, I agree with Mike, Wp.org above all! Glad you like the post Connor. Thanks! I remember the time when it took me months to write a web app that had just the basic functions of WordPress just to appear online. We totally agree with you Phil! Thanks for reading our post! Thanks for suggesting great blog sites. Wp.org is the best CMS out there today! Thanks Mike! WordPress.org is for sure one of the best self-hosted content management systems.